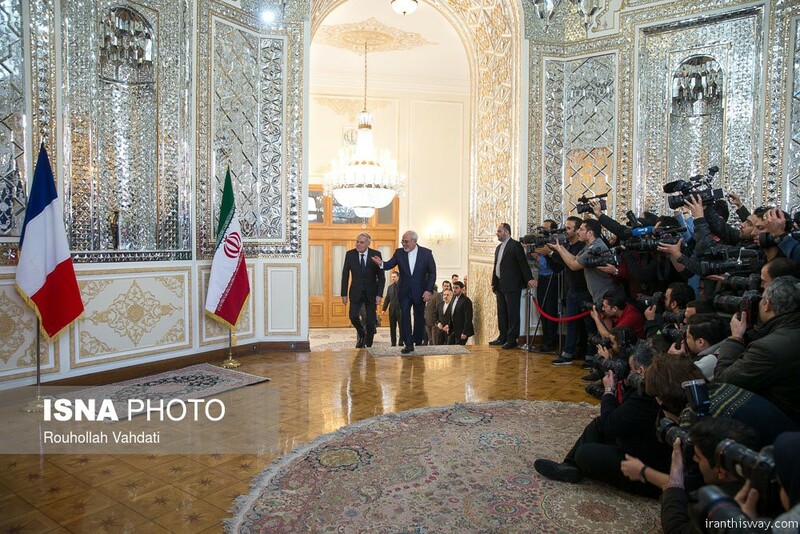 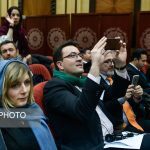 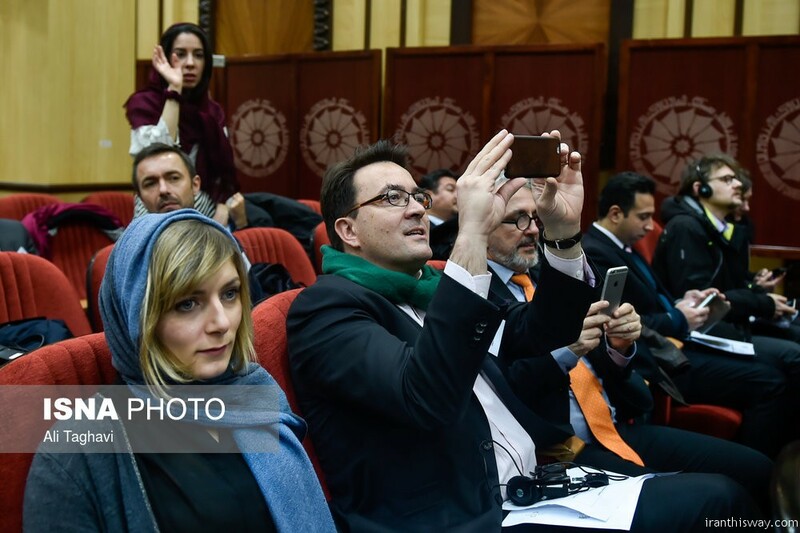 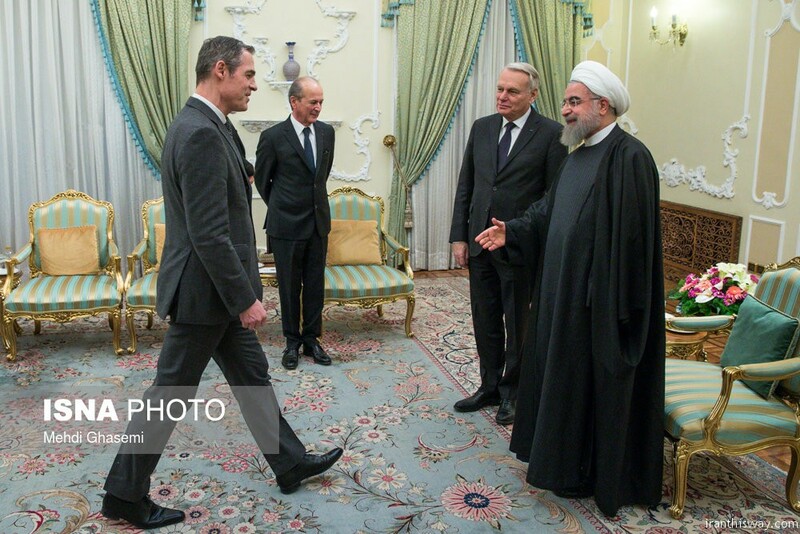 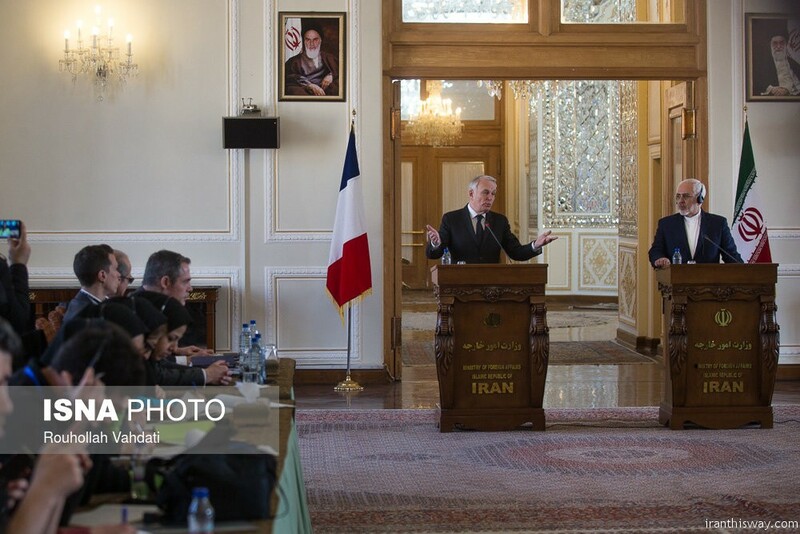 Photo: French FM in Tehran - IRAN This Way: Become familiar with Iranian lifestyle! 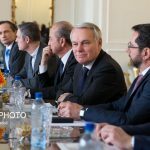 Visiting French Foreign Minister Jean-Marc Ayrault says that respecting the nuclear deal known as the Joint Comprehensive Plan of Action (JCPOA) is very important to Paris. 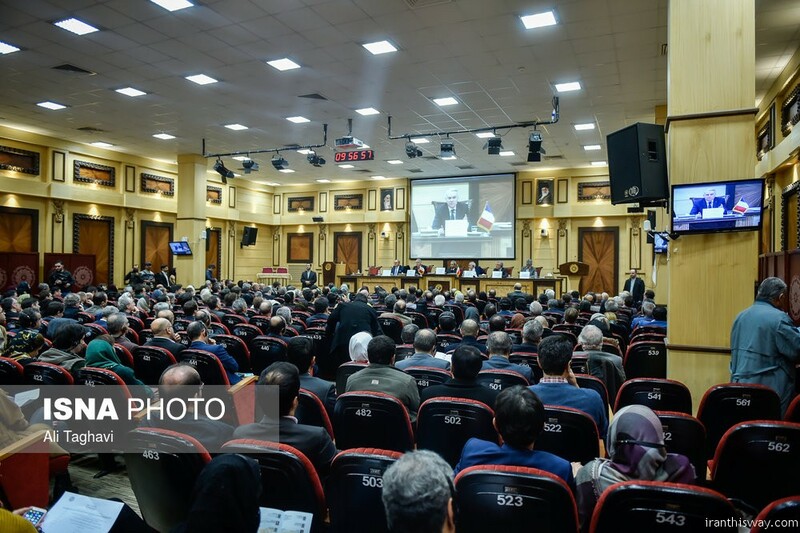 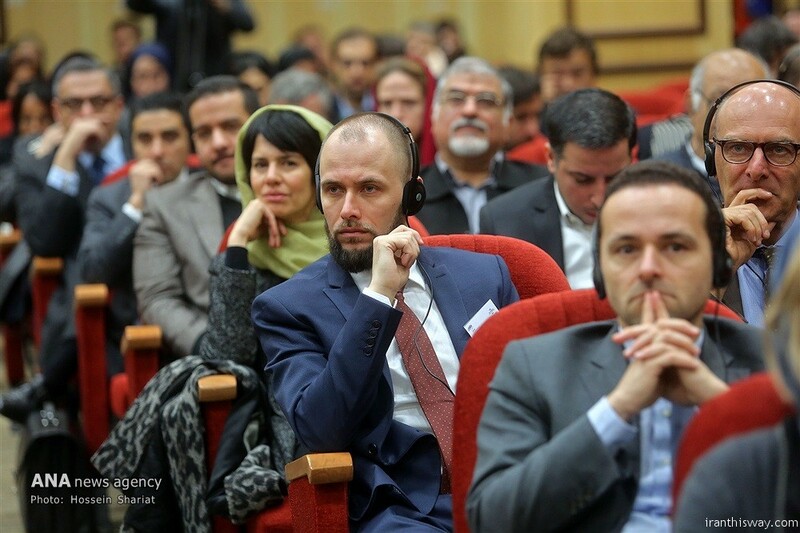 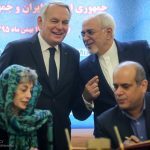 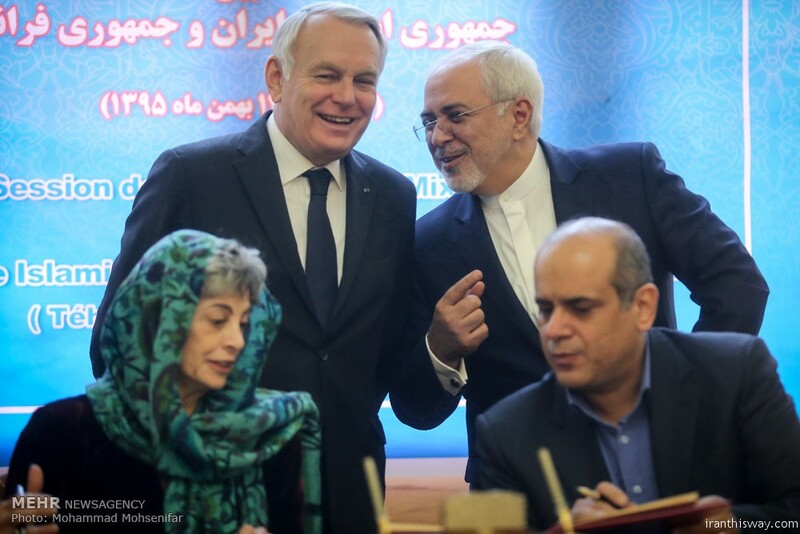 After signing the deal in Vienna, it was very important to France that the JCPOA as an international deal be respected, Ayrault said at the Iran-France joint economic commission underway in Tehran. 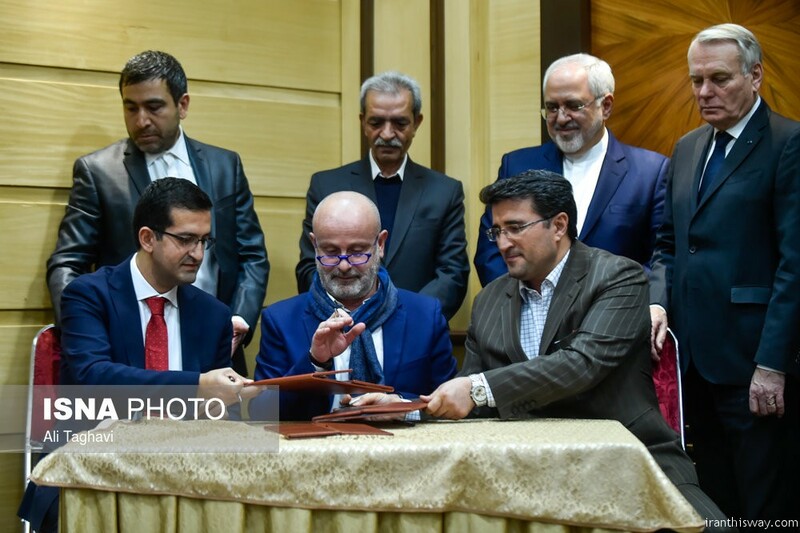 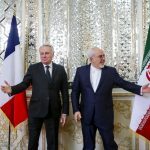 After the deal signed between Iran and the major world powers, France did immediately resume all-out ties with Iran, said the visiting foreign minister. 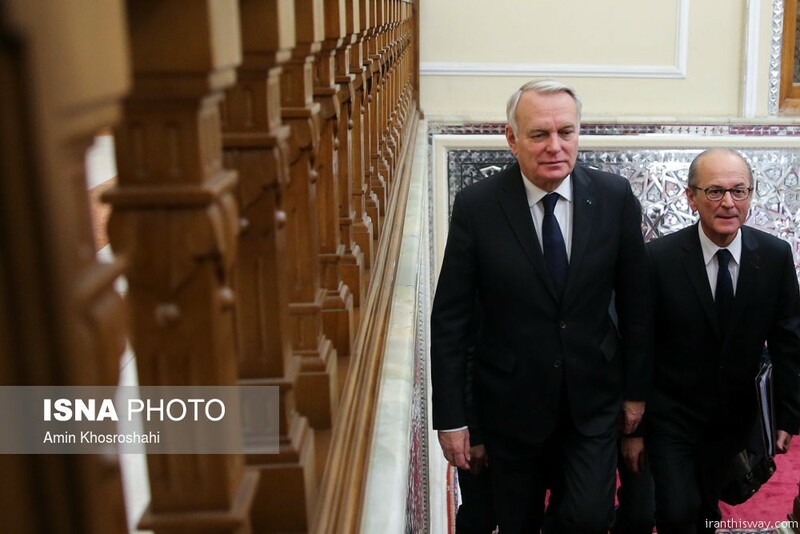 Bilateral ties, particularly the economic relations, will be of benefit to the both, Ayrault noted. 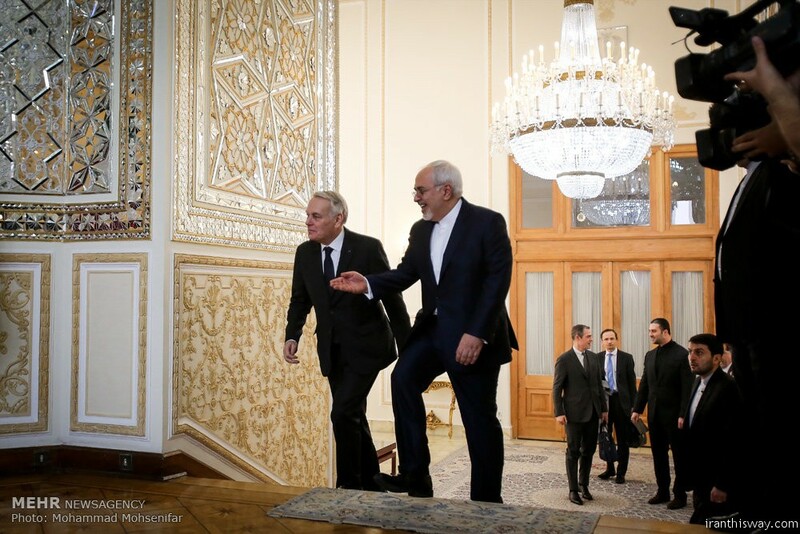 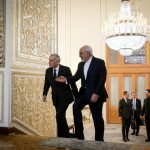 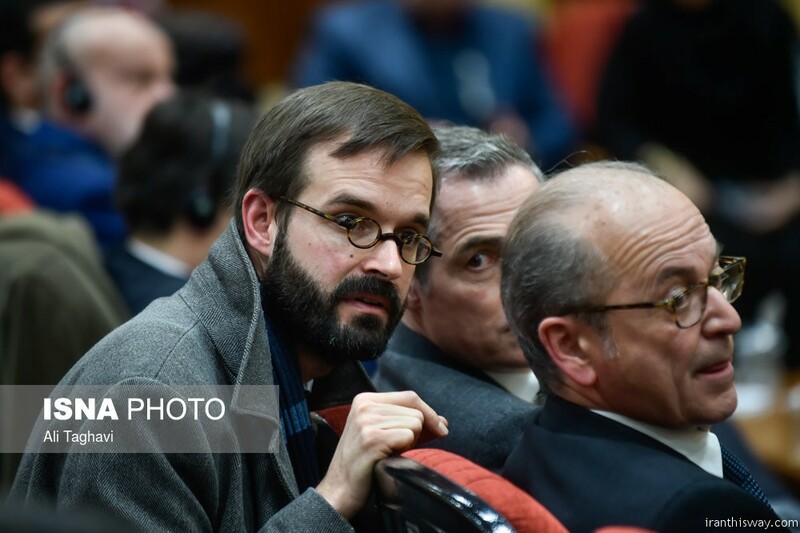 French foreign minister heading a 60-member delegation arrived in the Iranian capital on Monday evening. 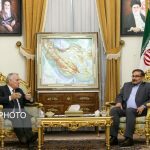 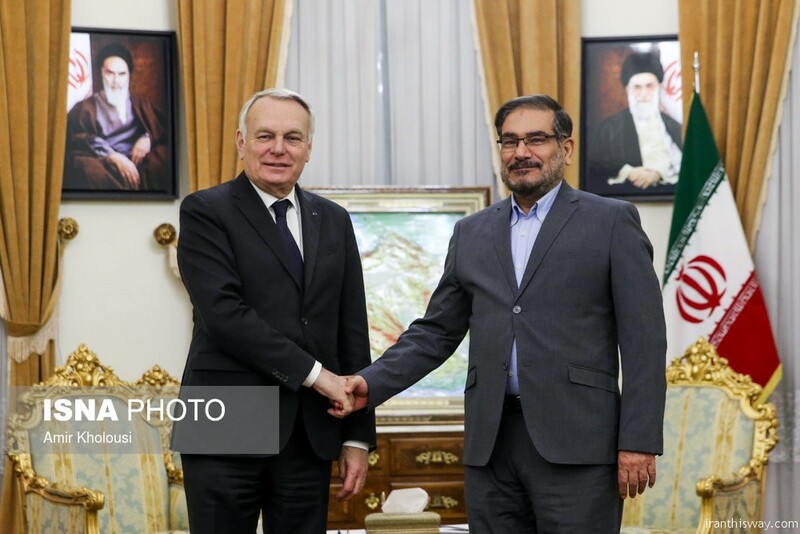 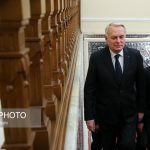 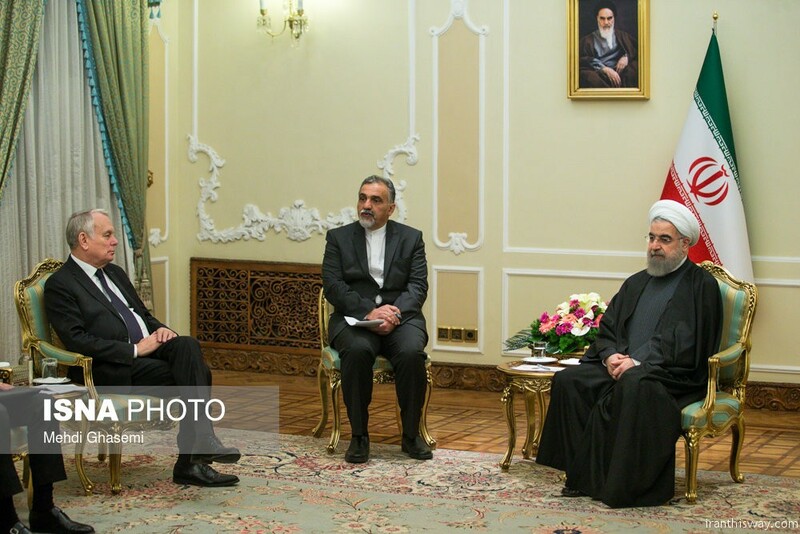 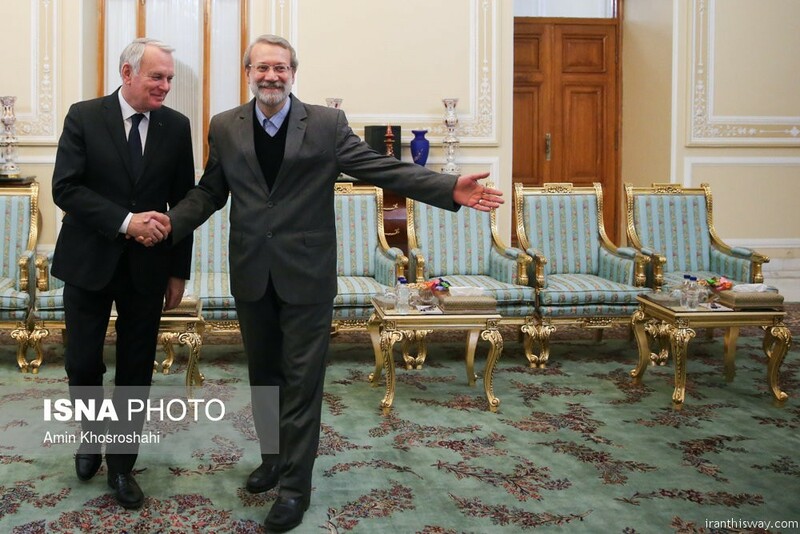 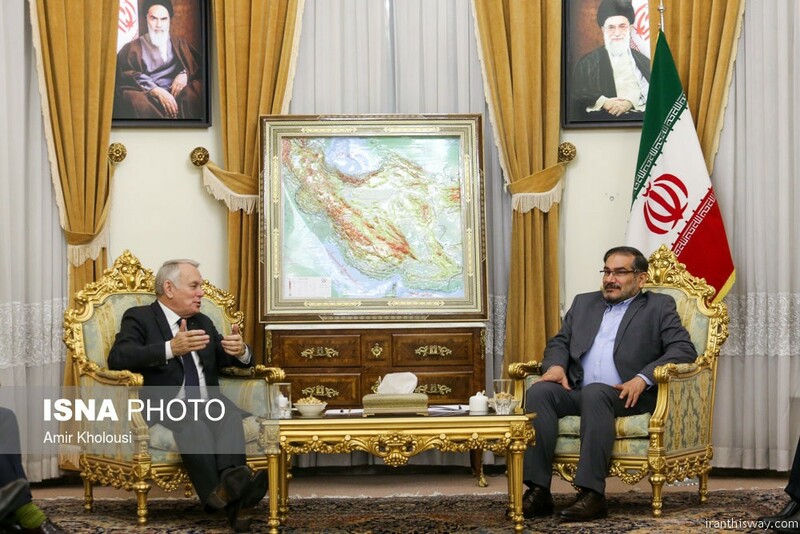 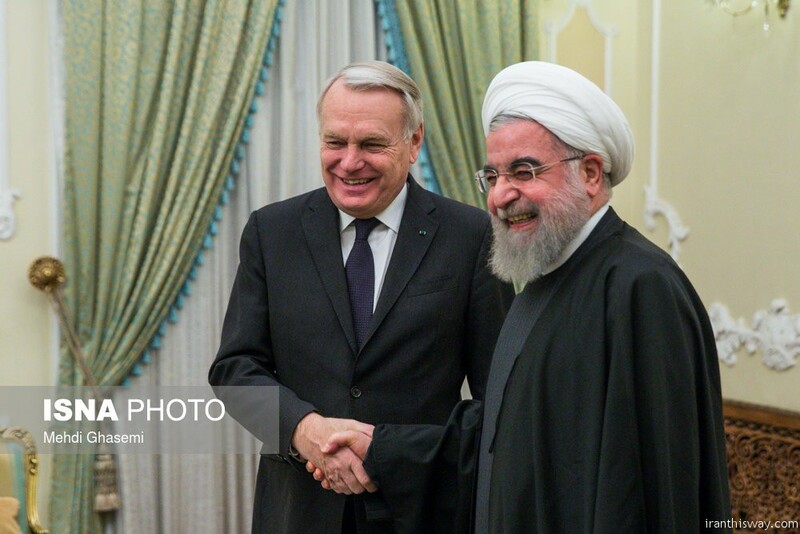 During his two-day stay here, Ayrault is to meet with President Hassan Rouhani, Majlis Speaker Ali Larijani and Secretary of the Supreme National Security Council Ali Shamkhani. 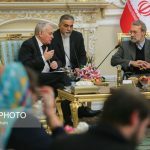 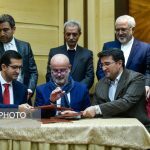 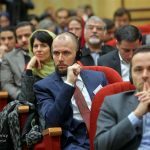 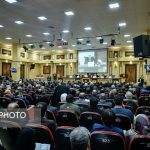 According to reports, the volume of exchanges between Iran and France has been 1.5 billion euros in the past ten months, but the figure is planned to triple. 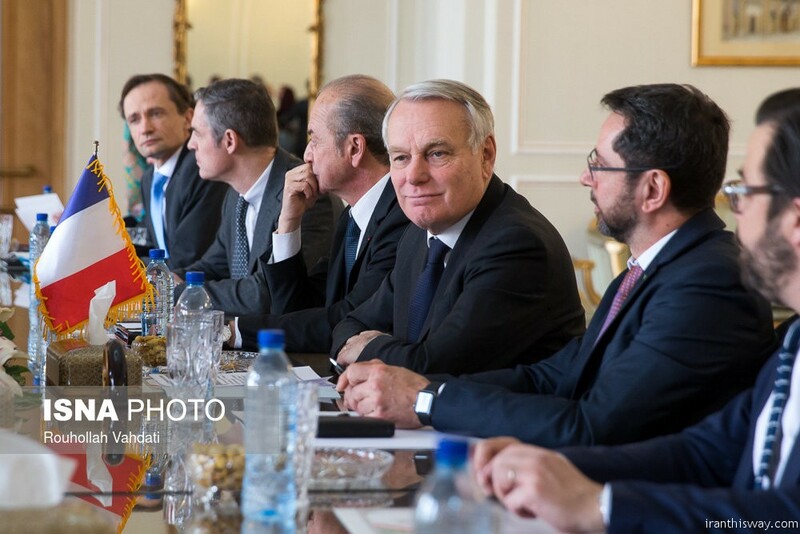 Visiting French Foreign Minister, Jean-Marc Ayrault, said on Tuesday that Paris is opposed to any initiative being against the Joint Comprehensive Plan of Action (JCPOA) and in case of resumption of talks, Paris will not absolutely accept it. 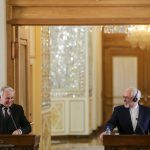 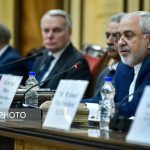 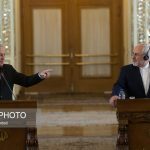 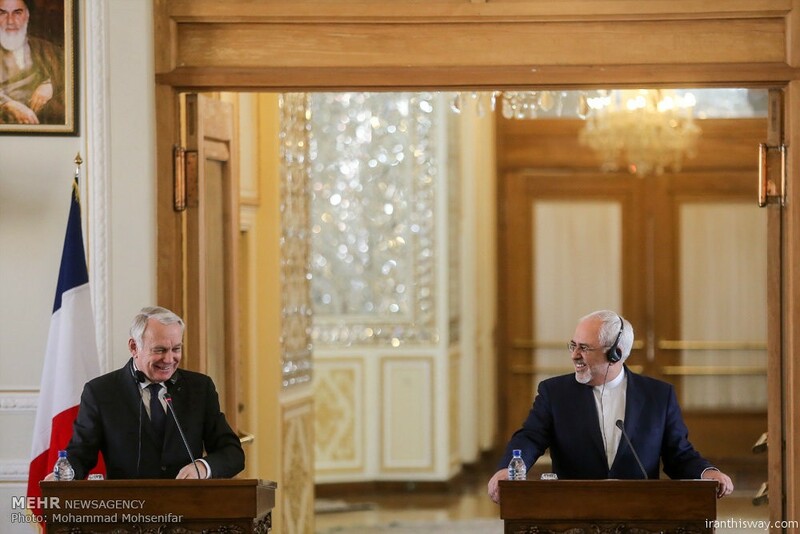 French foreign minister made the remarks in a joint press conference with his Iranian counterpart, Mohammad-Javad Zarif, in Tehran on Tuesday. 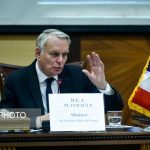 The US President, Donald Trump, raised a number of concerning issues during and after his presidential campaign but ‘we have to wait to see what will happen in the future and remain cautious,’ French foreign minister said. 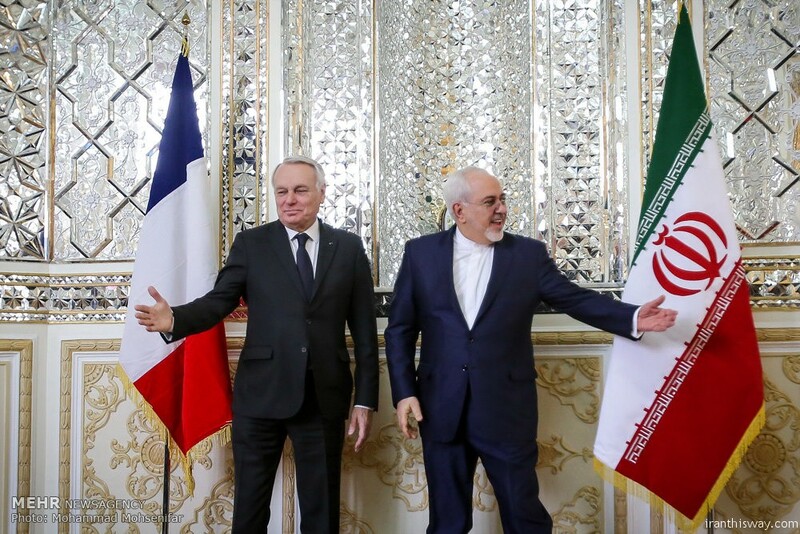 He explicitly declared that the US stands should be crystal clear and their unilateral stands under the pretext to fight against terrorism through putting ban on visa issuance is source of concern and very untimely, French foreign minister said. 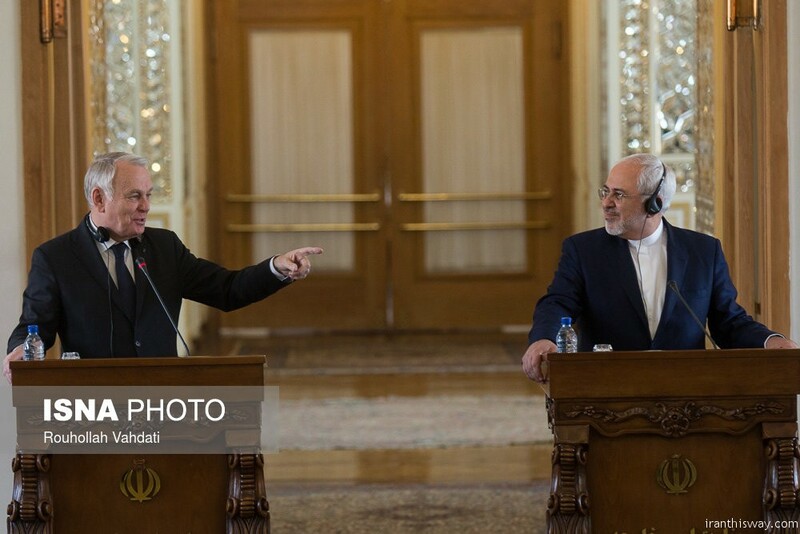 He added that rational wisdom rules for Americans’ backdown. 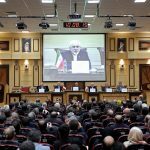 “We are concerned about the security of our citizens and mind to control borders but the deeds of those countries doing so should not run counter to international commitments regarding refugees and avoiding discriminations among citizens,” he said. 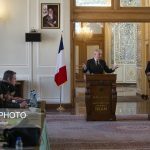 “Prospects of cooperation with French banks should be positive and we should expect more advancement in the sector,” he said. 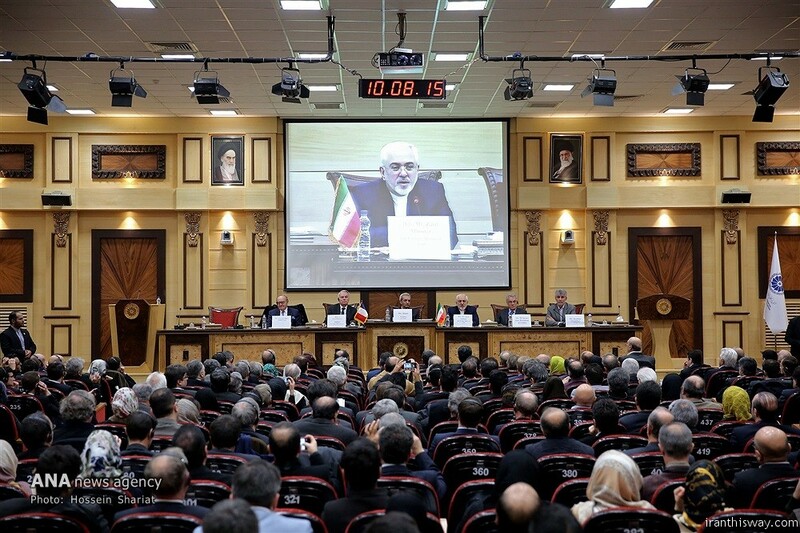 Since some of the big banks have been punished by the US government in the past, they are more cautious, he said. 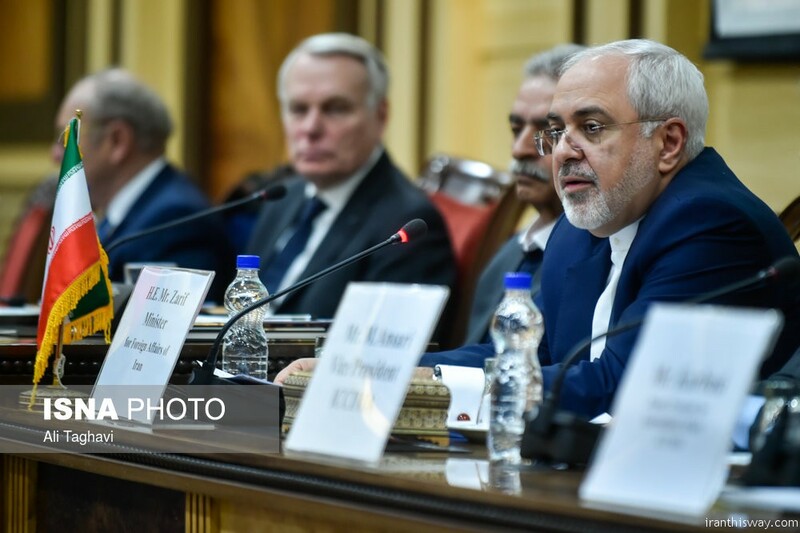 “I would like to once again express condolences to Iranian government and nation for disastrous incident claiming lives of some 20 people,” he said. 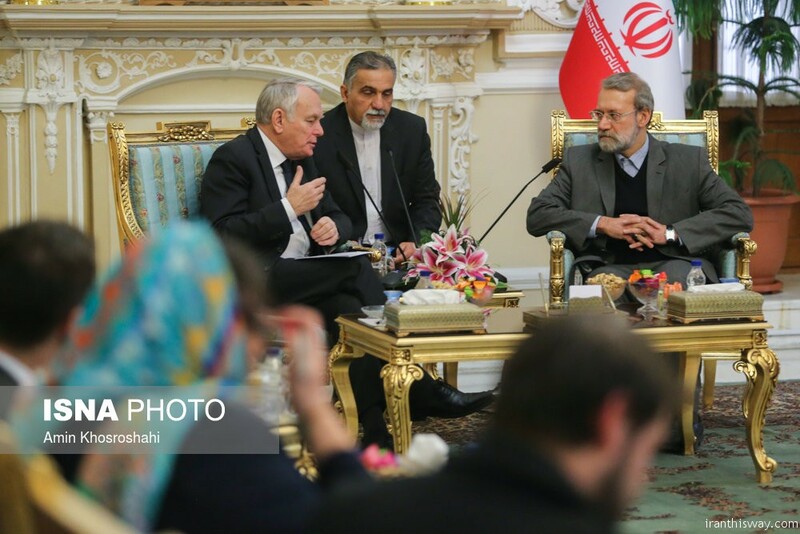 The JCPOA was a historical achievement for Iran and human society and proves that diplomatic means can work and should not be ignored, he said. 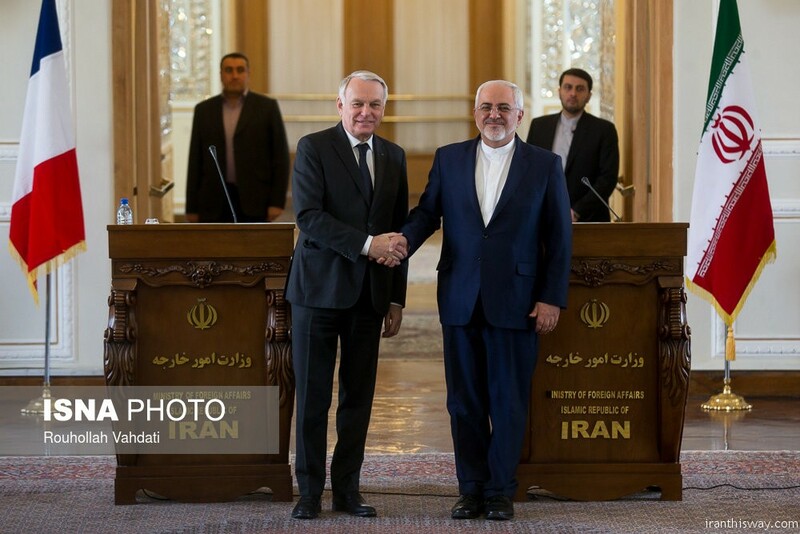 France hopes the JCPOA will be continued to be implemented and solutions can be found to the problems which might put it at risk, he said. 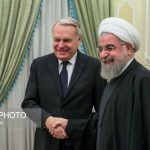 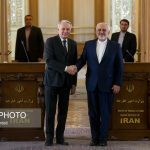 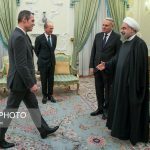 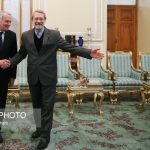 Iran and France are to broaden cooperation in connection with the regional and international developments, said French foreign minister. 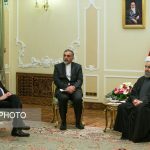 ‘No one is safe from terrorism and it is among our duties to fight with all these threats and find answers to the raised questions,’ he said. 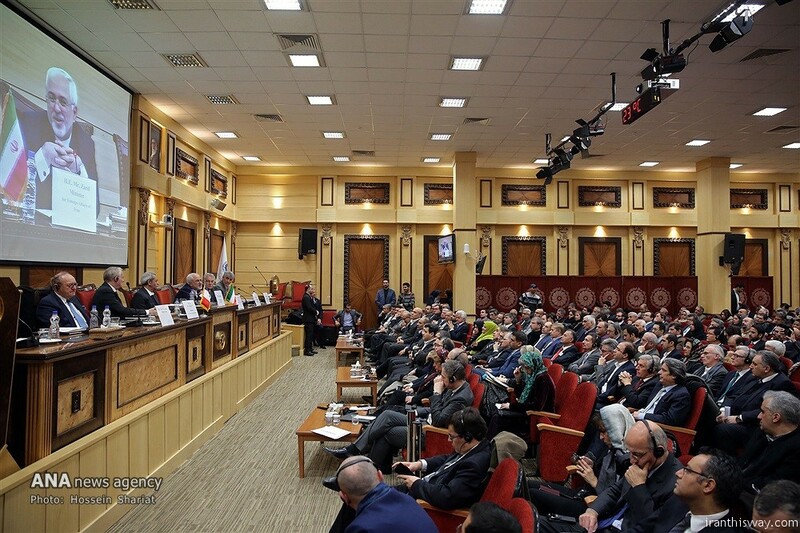 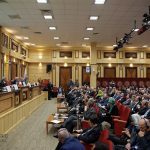 The region is in dire need of peace, stability, development and welfare and it is time for big countries in the region to find a new formula for Syria, Yemen and Iraq, he said. 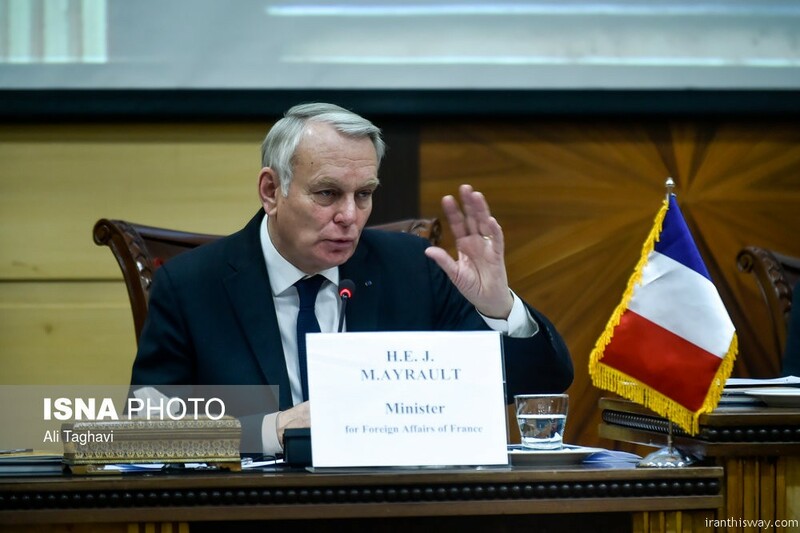 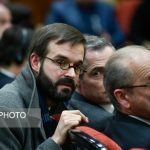 There is no military solution for the crises but a peaceful solution provides the room for the countries in the region to maintain their sovereignty and territorial integrity with full respect, said the French minister. 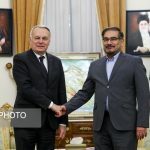 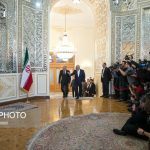 French foreign minister, heading a politico-economic delegation, arrived in Tehran on Monday evening to confer with the country’s officials on issues of mutual interest and regional and global developments.